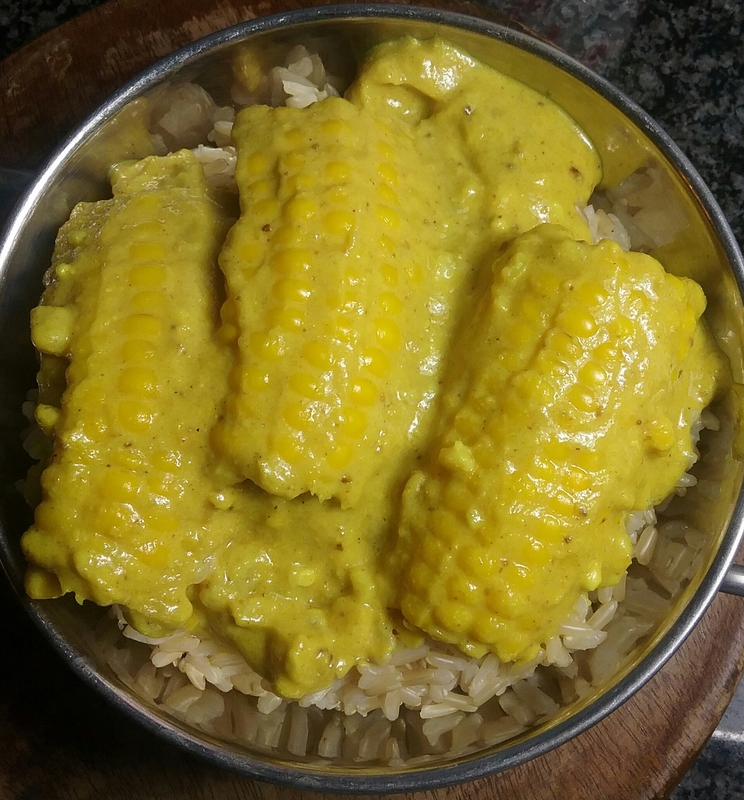 Corn on the cob curry | Jo's food bites. A really simple, mild but full of flavour curry. Served on a bed of brown rice. My daughters don’t enjoy hot and spicy food but this curry goes down very well indeed. The blend of peanuts and yoghurt ensure a creamy sauce that coats the accompanying rice well. Cook the prepared corn on the cob in boiling water for 6-8 minutes. Drain. On high, heat the oil in a frying pan and add the flour – stirring continuously for a couple of minutes. Turn the heat down to a moderate temperature and add the ground peanuts, Stir for a coupe of minutes. Add the yoghurt, turmeric and chilli and stir till mixed thoroughly.Slowly add the 500 ml of water stirring all the time to create a thick sauce. Add the corn on the cob and simmer until all heated through.